We're always willing to go the extra mile for our brides. Literally. We followed this bride to Chicago! Tara loved our take on design, and we love an adventure, the rest is history. 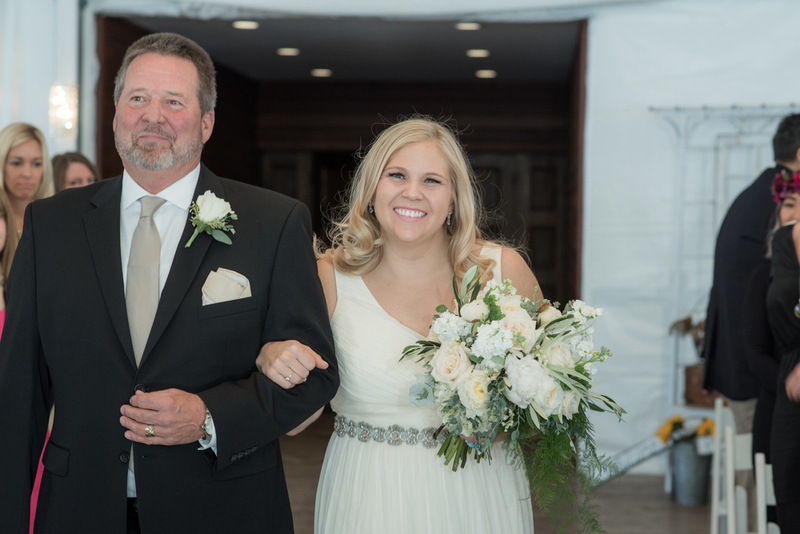 Her mother, Michelle, runs an adorable vintage shop (Life is Sweet) in our town and provided all the gorgeous antiques featured in her wedding. The warmth and history of these items perfectly matched the desired vintage look of the flowers. 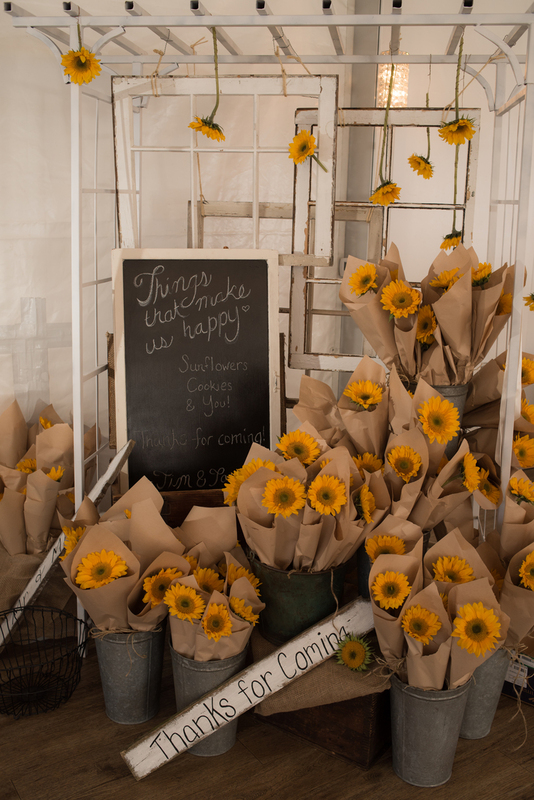 The sunflower take-away was truly the icing on the cake for this beautiful event.